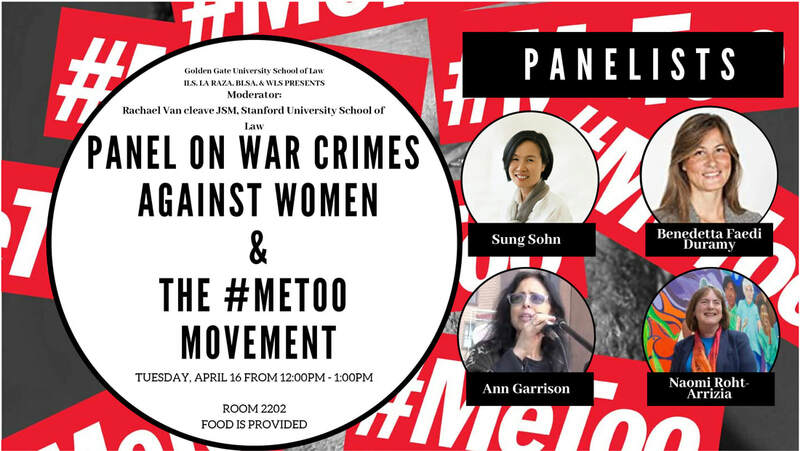 ​International Law Society, LA RAZA Student Association, Black Law Students Association, and Women’s Law Association at Golden Gate University School of Law are holding a panel discussion on crimes against women and the #MeToo movement on Tuesday, April 16. ESJF’s Sung Sohn, Professors Benedetta Duramy and Naomi Arriaza, and political journalist Ann Garrison are panelists. Looking at the multifaceted problems from different vantage points, we hope to raise social awareness collectively. 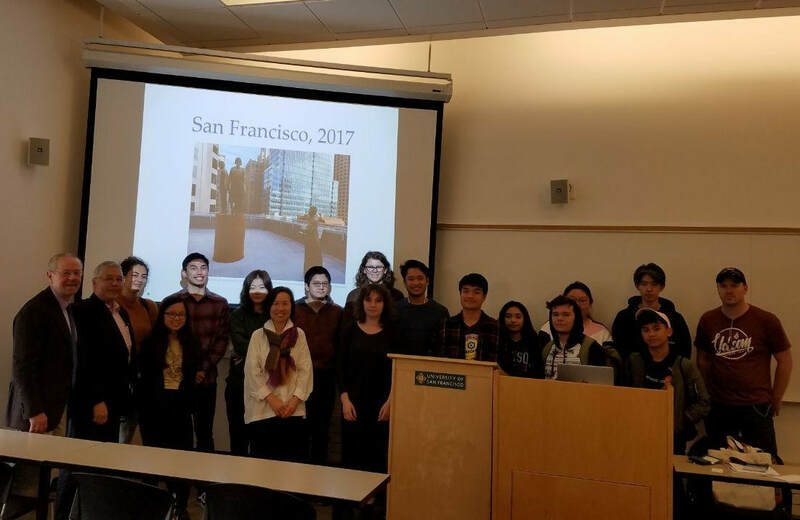 Russ Lowe and Sung Sohn were guest speakers at Modern Japanese History at University of San Francisco on Thursday, the 11th. Highly engaging discussions, ranging from the history of "comfort women" to historical amnesia, occupied the entire class period. 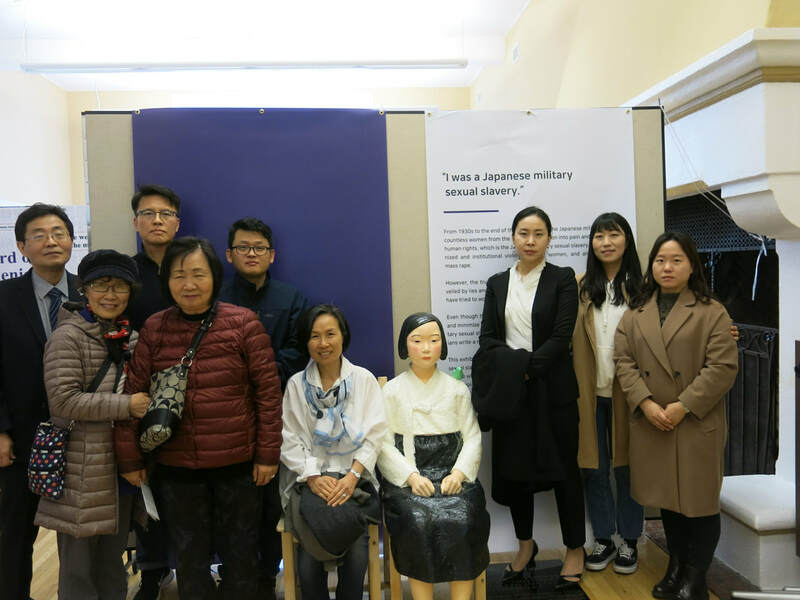 From multiple angles, we explored the reasons why the Japanese government refuses to officially acknowledge and apologize for their country's past war crimes. 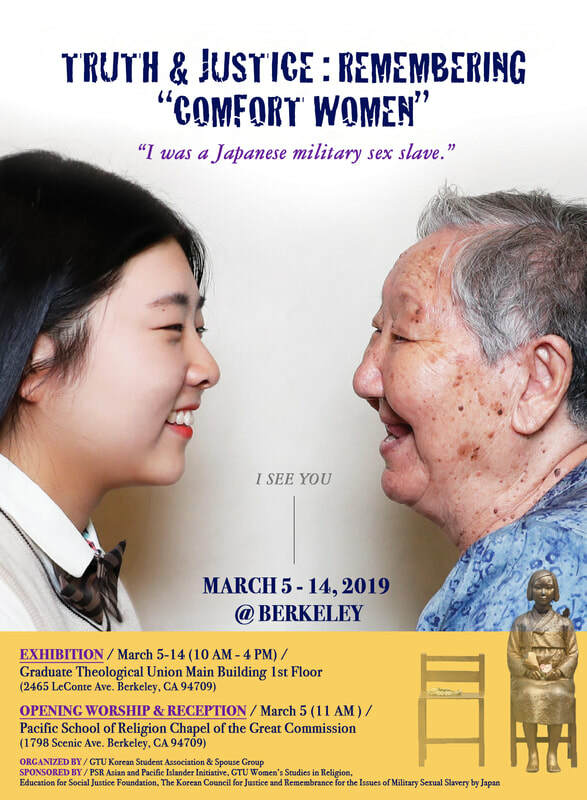 We also discussed how “comfort women” issues have manifested in San Francisco, examining the complex layers of history and politics surrounding the installation of the Peace Girl statue and the recently severed sister-city relationship between Osaka and SF. 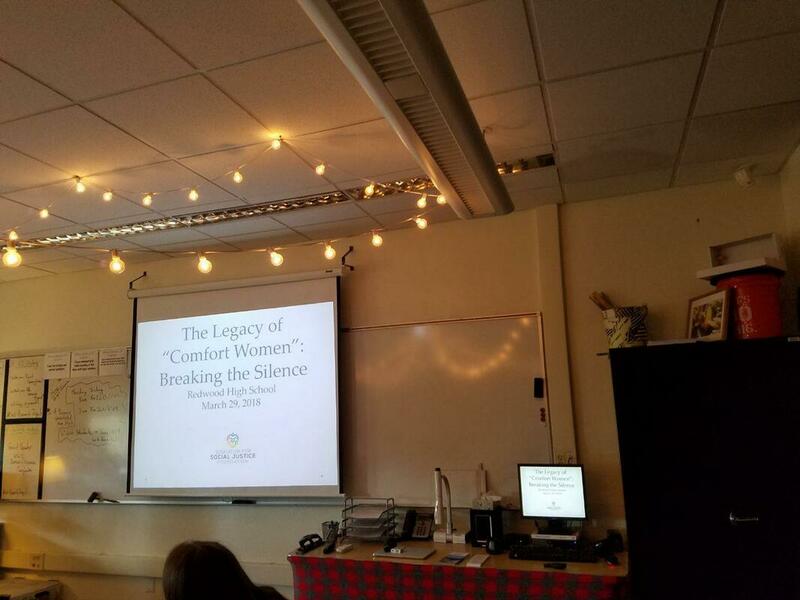 ​Great appreciation goes to Professor Kruze for making this intellectually stimulating platform possible. 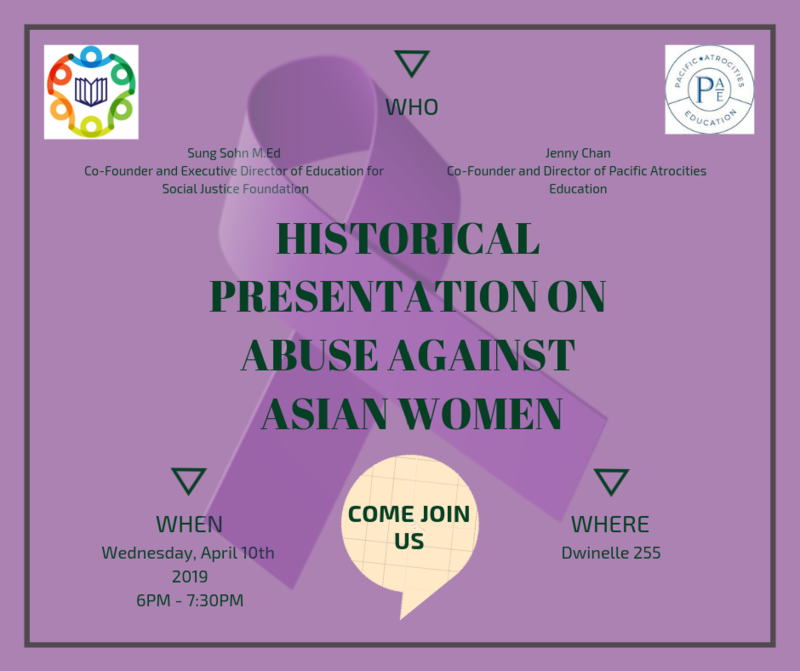 UC Berkeley Sigma Phi Omega invited Sung Sohn and Jenny Chan, Executive Directors of Education for Social Justice Foundation and Pacific Atrocities Education, to present on the history of abuse against women on Wednesday, the 10th. 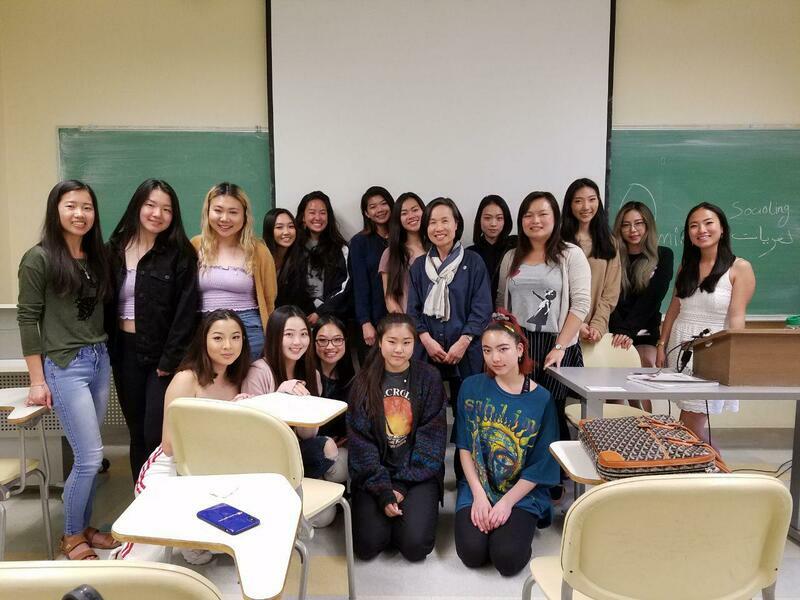 Sung and Jenny explored various struggles against sexual violence and stereotypes of women through illuminating the stories of “comfort women” and guerrilla fighters in the Philippines. 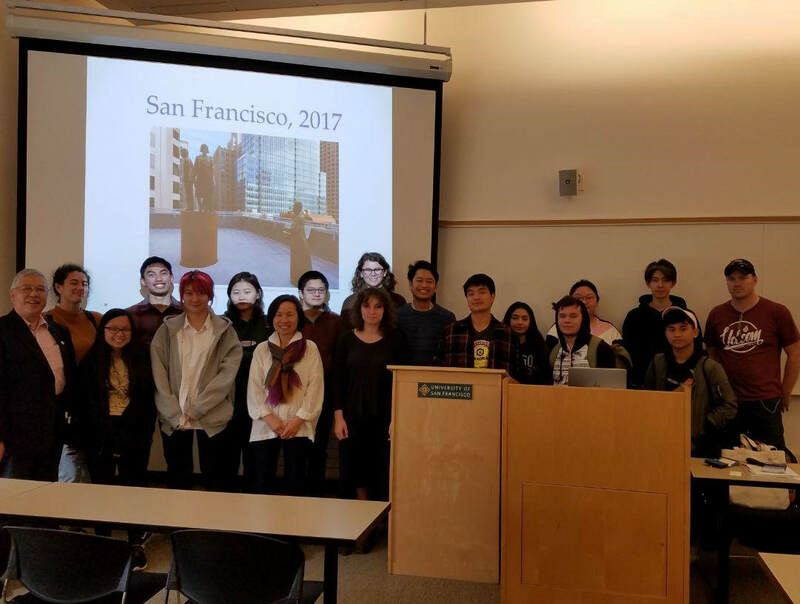 ​Big thanks goes to UC Berkeley Sigma Phi Omega for having us involved in their important campaign. 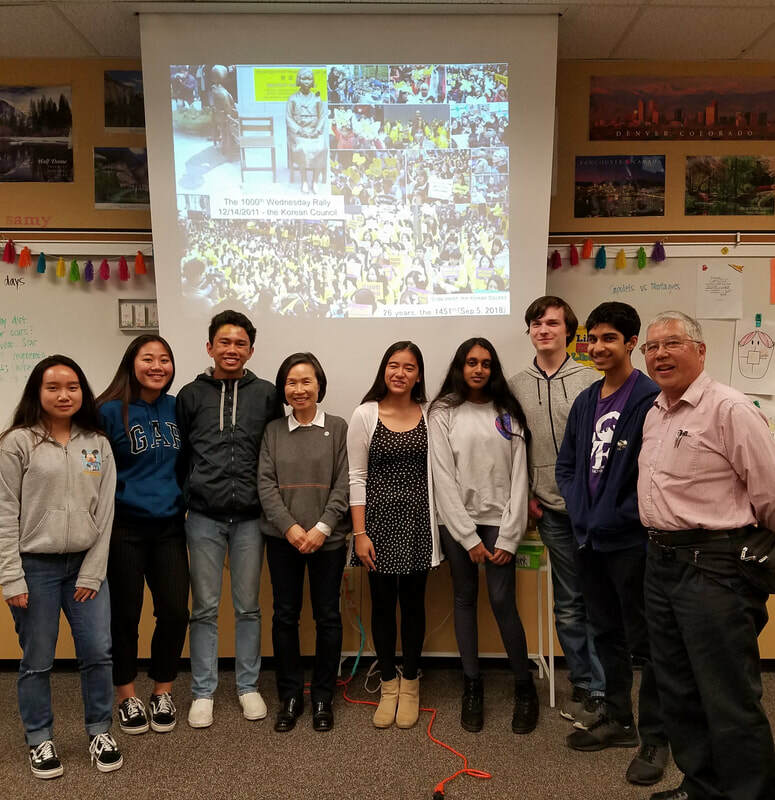 Russ Lowe and Sung Sohn were invited as guest speakers by GirlUP Club at Milpitas High School to teach the history and issues of "comfort women" in conjunction with sexual violence and the #MeToo movement. 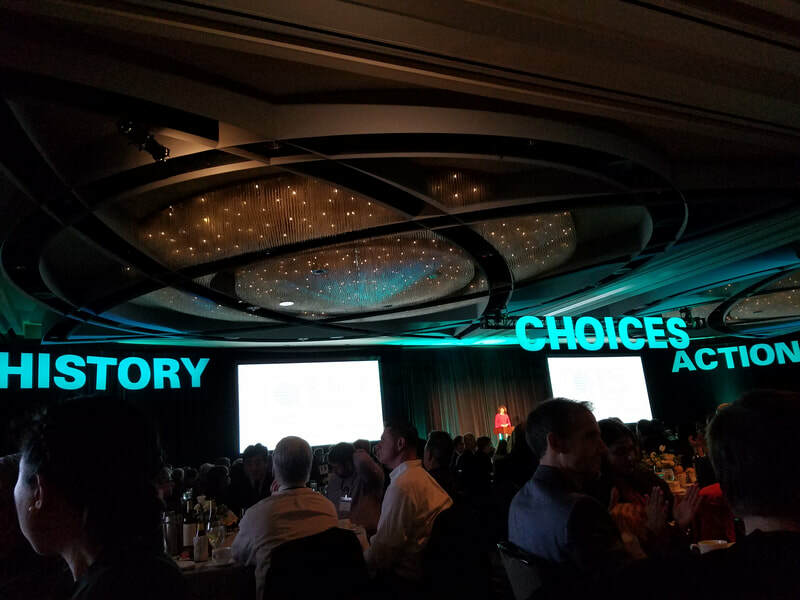 GirlUP is a club striving for the empowerment, rights, and betterment of girls and women. When asked what they could do to carry on the voices of the victims, one student said that reaching out to his friends about this sidelined history, which he was never aware of, is the first active step he'll take. We are 55 civil society organizations that act for peace on the Korean Peninsula. 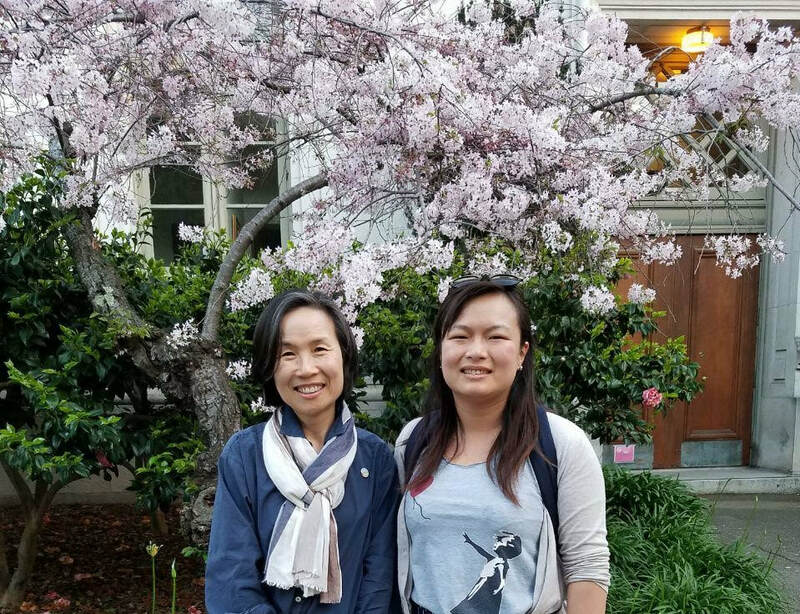 We are sending this open letter to raise our concerns on the deadlock between the DPRK and the U.S. after the last summit in Vietnam. We appeal to the Members of the UN Security Council, the Security Council Committee established pursuant to resolution 1718, and the international community to ensure that the peace process on the Korean Peninsula is firmly sustained. 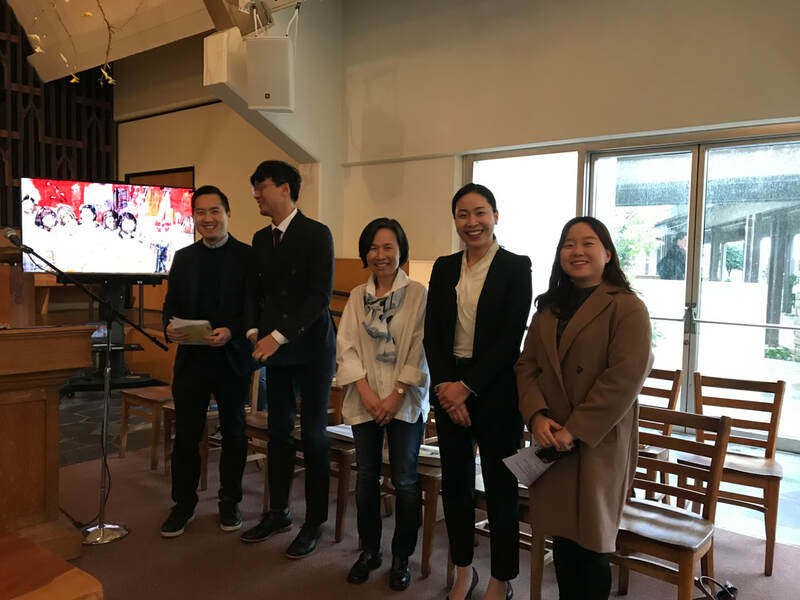 * Among 55 Civil Society Organizations, Citizens’ Coalition for Economic Justice, Korea Federation for Environmental Movements, Korean Sharing Movement, Korea Women's Associations United, MINBYUN-Lawyers for a Democratic Society, People's Solidarity for Participatory Democracy (PSPD) have been in the Consultative Status with ECOSOC. We are 55 civil society organizations that act for peace on the Korean Peninsula. Since the last summit in Vietnam between the DPRK and the U.S. ended without result, concerns have been raised that the deadlock between the two countries will be prolonged. We wish to make it clear that there must be no further action to aggravate the situation. We appeal to the Members of the UN Security Council, the Security Council Committee established pursuant to resolution 1718, and the international community to ensure that the peace process on the Korean Peninsula is firmly sustained. We request the Members of the UN Security Council to publicly announce in support of the following: the reopening of the DPRK-the U.S. dialogue; the lifting all the sanctions related to humanitarian assistance; and the starting of negotiations to build peace regime on the Korean Peninsula. We also request the 1718 Committee to lift all the sanctions against humanitarian support to the DPRK. The 2nd DPRK-U.S. summit clearly showed that removing tensions from the Korean Peninsula, where the Cold War still runs, is not an easy task. For the countries who have been enemies to each other for almost 70 years, it is not easy at all to trust and begin to have open talks with each other. This is why it is neither realistic nor appropriate for the U.S. to demand that the DPRK completely denuclearize at once. The DPRK needs to consider the fact that deep-rooted mistrust is also alive despite her stated willingness to denuclearize. We would like to highlight that the DPRK and the U.S. committed in Singapore ‘to establish new relations, to build a lasting and stable peace regime on the Korean Peninsula and to work toward complete denuclearization of the Korean Peninsula’. We expect the two countries will adjust their demands and expectations to start phased and simultaneous implementation of their promises at the smallest level they feel comfortable with. 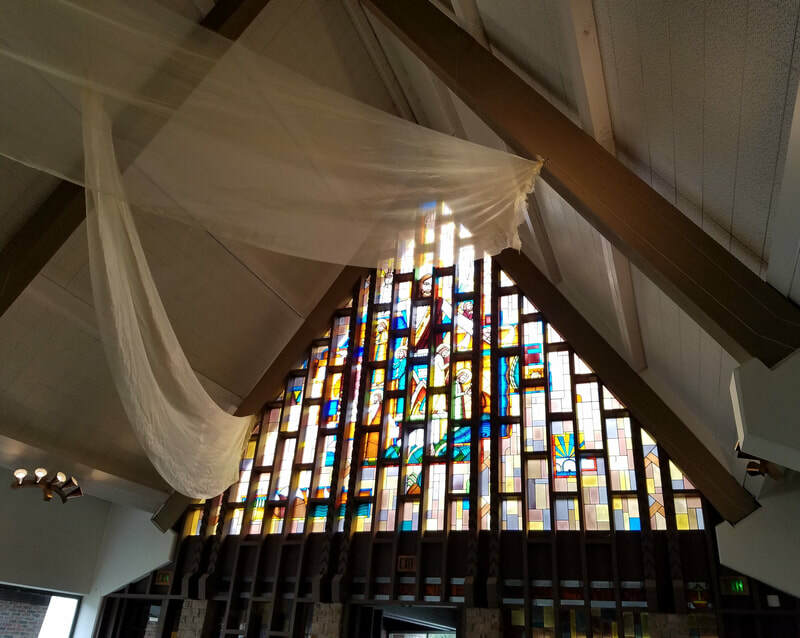 Once they start building trust in the process, they will be able to agree on larger issues. The DPRK and the U.S. must earnestly listen to each other and continue their dialogue. The UN says that the sanctions against the DPRK are not the end, but the means. In the same light, all resolutions of the UN Security Council on the sanctions emphasize the commitment to “a peaceful, diplomatic, and political solution to the situation.” The true purposes of such resolutions are to urge “the DPRK and the U.S. to respect each other’s sovereignty and exist peacefully together” and also “the council members as well as other states to facilitate a peaceful and comprehensive solution through dialogue”. Humanitarian assistance is a universal and non-derogable value and spirit in the work of the UN. As the UN Security Council resolutions clarify that these resolutions “are not intended to have adverse humanitarian consequences for the civilian population of the DPRK or to affect negatively or restrict those activities, … the work of international and non-governmental organizations carrying out assistance and relief activities in the DPRK for the benefit of the civilian population of the DPRK.” However, the sanctions against the DPRK by the UN and the stronger ones imposed by the U.S. after the 1st DPRK-U.S. summit have aggravated the conditions for humanitarian assistance to the DPRK. We urge the 1718 Committee to lift all the sanctions that prevent humanitarian assistance to the DPRK. These sanctions hamper implementation of inter-Korean agreements for exchange and cooperation. 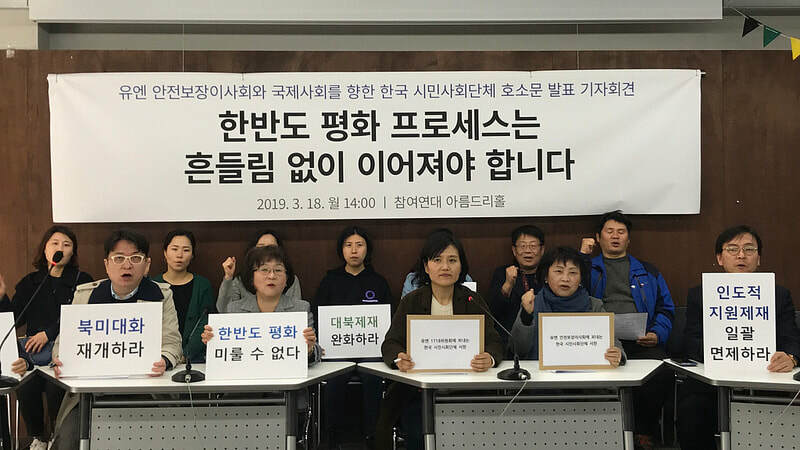 They even made it difficult to resume operation of Mount Geumgang tours and Gaeseong Industrial Complex, which are stopped activities unrelated to the UN sanctions. As initial steps for peace, the two Koreas need to expand meetings and cooperation among them in order to end military tension and confrontation, and thus paving way for peace in the Korean Peninsula and Northeast Asia. The sanctions against the DPRK which impede to conduct humanitarian assistance and build cooperative relationships between the two Koreas must be relieved as soon as possible. The nuclear conflict on the Korean Peninsula is a product of the instability inherent to an armistice regime, grown out of the decades-long military confrontation and arms race. 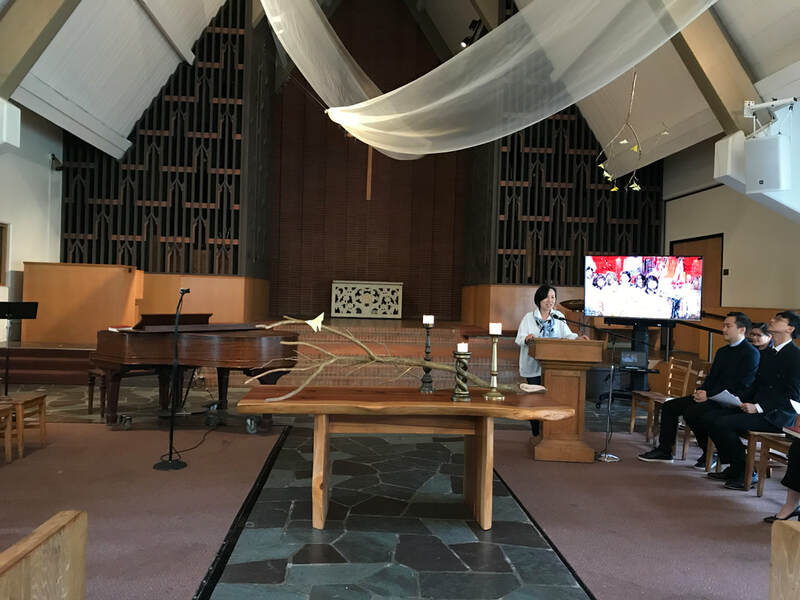 Denuclearization of the Korean Peninsula is closely connected to building a peace regime on the Korean Peninsula with normalizing relations between the DPRK and the U.S. The denuclearization of the DPRK alone cannot be the entry point for negotiations to begin. Peace on the Peninsula cannot be achieved only through denuclearization. It can only be achieved, instead, when it becomes part of a peace-building process. 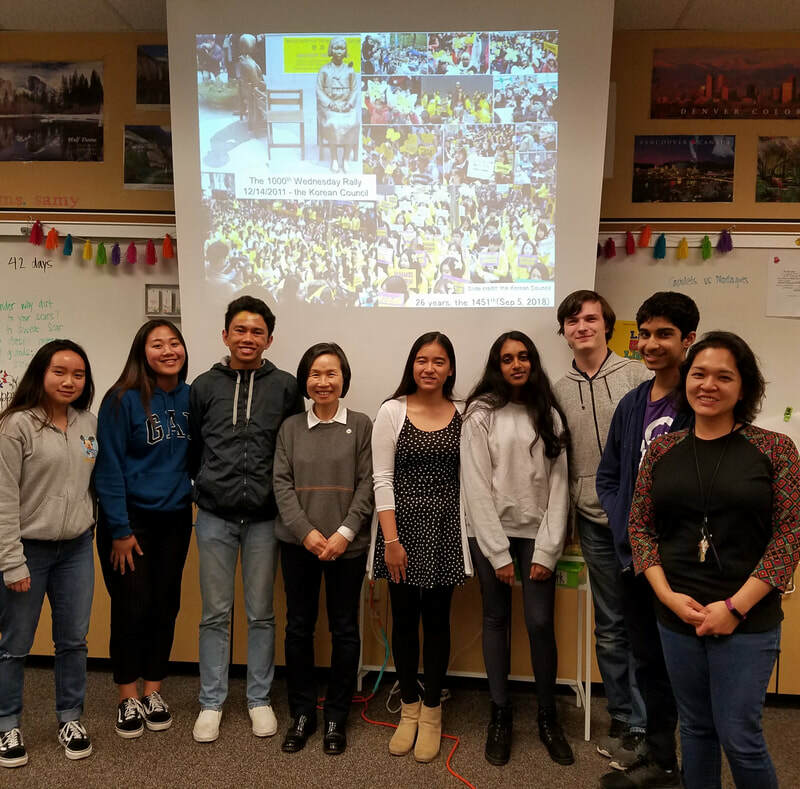 Efforts to build a permanent peace regime here, such as signing a peace treaty or a non-aggression agreement, and normalizing relations between the DPRK and the U.S. must be paralleled. The kind of complete denuclearization that people in the two Koreas sincerely wish to achieve is a state where all nuclear threats surrounding the Peninsula are removed. This cannot be achieved only by ‘Complete, Verifiable, Irreversible Denuclearization’ of the DPRK alone. Abolishment of the extended deterrence strategy to which the ROK, the U.S., and Japan rely on is one of the associated and necessary tasks. Nuclear-Free Korean Peninsula can become a stepping stone for Northeast Asia Nuclear-Weapon-Free Zone and Nuclear-Free world. 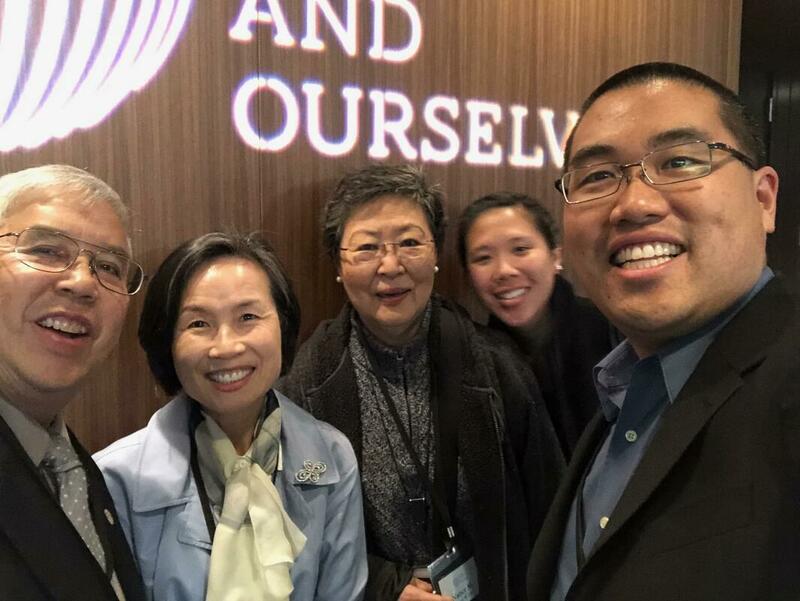 Achieving peace on the Korean Peninsula will serve as a testing case for whether humanity will be able to peacefully resolve the accumulated conflicts of today’s world, or not. In Korea, we have recently witnessed that peace can be achieved through peaceful means and problems can be solved through dialogue and negotiation. 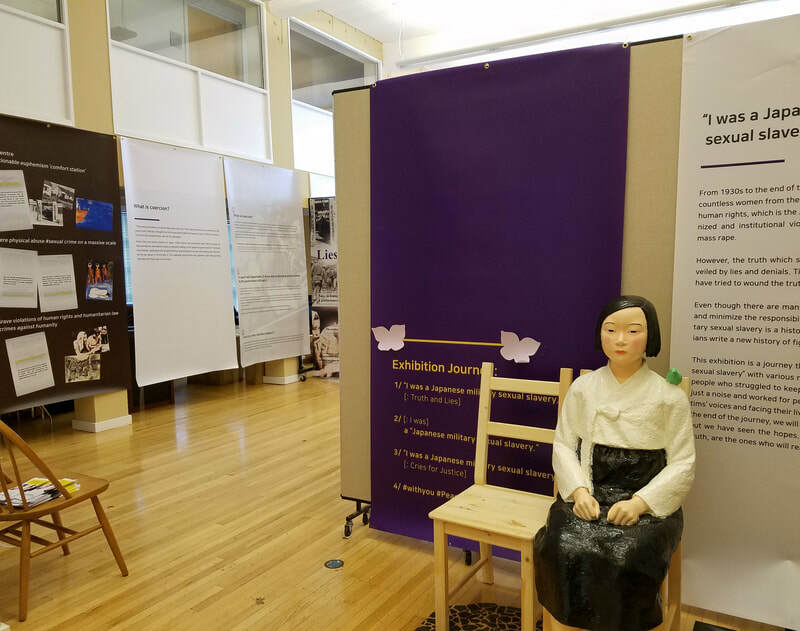 Since the inter-Korean summit last year, the two Koreas have ceased all hostile activities, cherishing the most peaceful time ever since the armistice began. We should never return to the repeated threats of nuclear war and heightened military tension under any circumstances. Once again, we urge the UN Security Council and the international community to support the painstaking efforts to bring peace to the Korean Peninsula. Cooperation from the international community is absolutely crucial. We plead that you do utmost to ensure the continuity of the peace process on the Korean Peninsula. For its part, Korean civil society will spare no effort.